Abiquiu (pronounced Ab-uh-cue) is barely a town in northern New Mexico that was put on the map by Georgia O'Keeffe, who spent most of her life there painting the landscape. It's not hard to see why; the surrounding area is stark and dramatic with its colors constantly shifting. Wavy walls of red rocks are interrupted by bands of white, gold, lavender and orange. Gentle mountains polka-dotted with deep green shrubs look like they've been attacked by a chisel and hammer. Random chunks of rock have been removed, creating steep cliffs and exposing hard angular rock. The light is always changing. A painter's paradise. 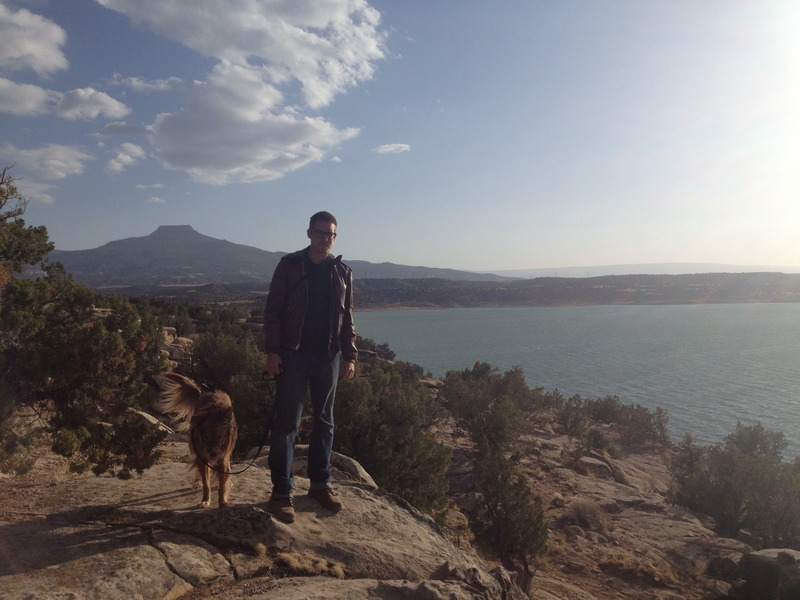 After a series of winding rollercoaster roads, we caught our first glimpse of this magical landscape at our campground at Abiquiu Lake. The sun was beginning to set over the intensely turquoise water, turning the rocky buttes and cliffs surrounding the lake into colorful facets of diffused light and shadow. With a view of the lake and the sinking sun, this was easily the most stunning campsite we had the pleasure of staying in. We liked it so much we stayed an extra day, relishing in the stark beauty of the area. 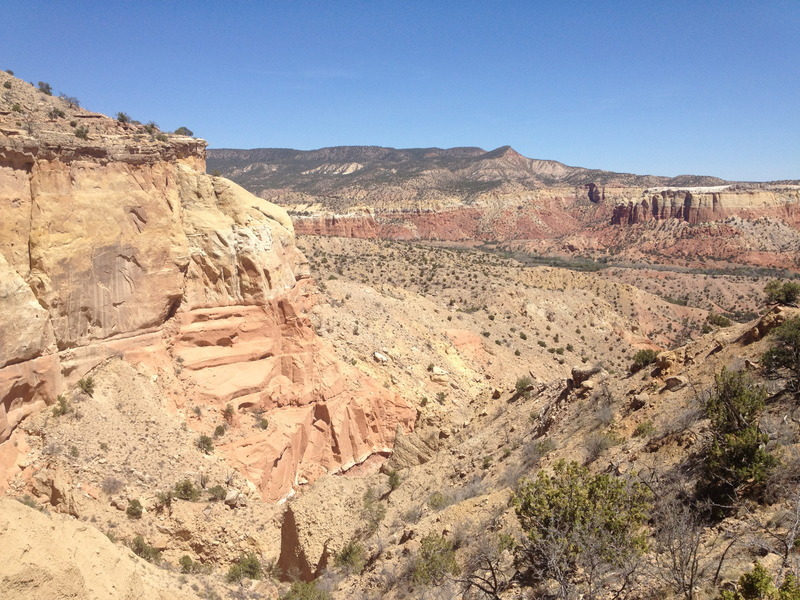 On our way out of town, we drove the 15 miles west to Ghost Ranch. Tucked between red rock cliffs, Ghost Ranch has served as a dude ranch and a retreat and education center since the early twentieth century and has attracted celebrities, artists, politicians, filmmakers and people who simply want to get away and relax. O'Keeffe first visited in 1934 and fell in love with the place. "As soon as I saw it, I knew I must have it" she said of her simple adobe house at Ghost Ranch. While they offer workshops and classes, spiritual retreats, two museums and lodging, we were there to hike up to Chimney Rock. 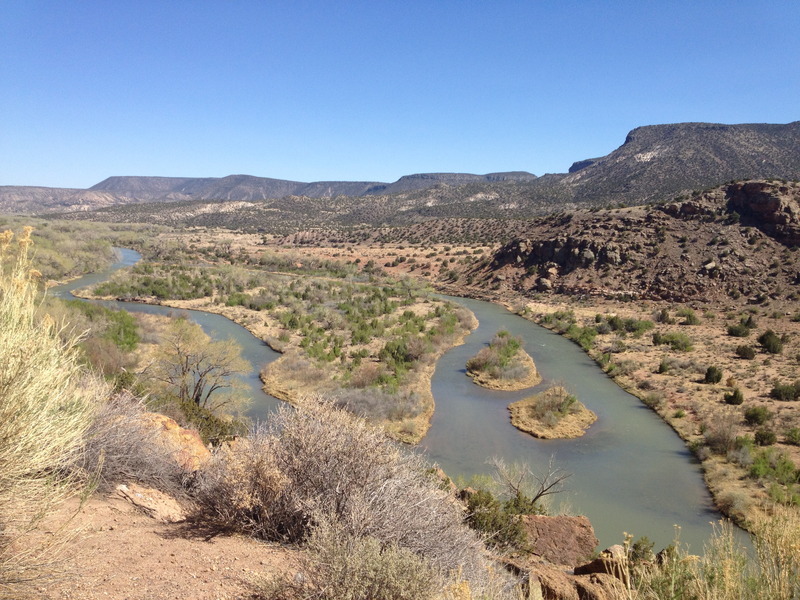 The three mile trail slowly climbs 600 feet up to a narrow cliff that overlooks Ghost Ranch, Chimney Rock and miles and miles of the Piedra Lumbre Basin. 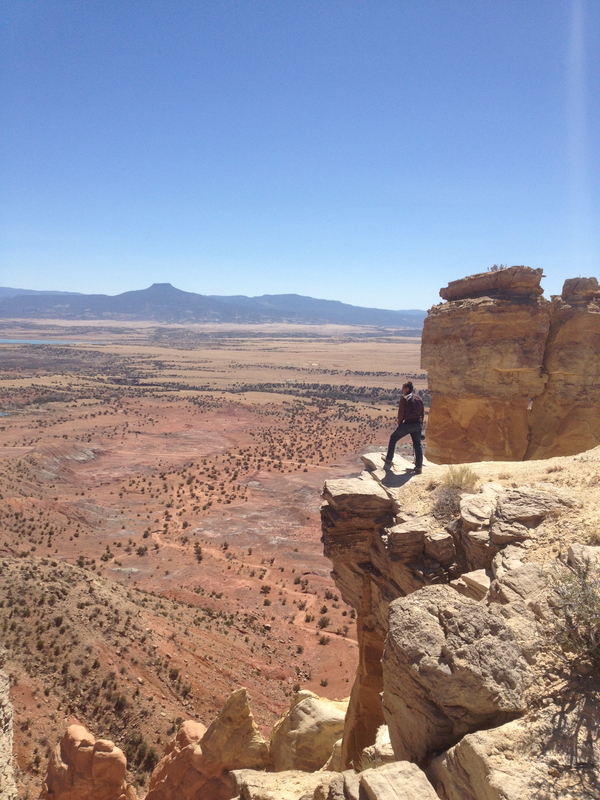 The cliffs with the sheer drop-off at the end of the trail was incredibly dramatic; perfect for epic photos of each other looking tiny and awesome on the edge of a cliff in this crazy-amazing desert. It was a really rewarding end to a semi-challenging hike. We didn't stick around Ghost Ranch after our hike, we had to continue along the road to get to our campground outside of Taos before dark. I can see why people are so taken with this area; it's peaceful, austere, endlessly beautiful and has a magic about it. 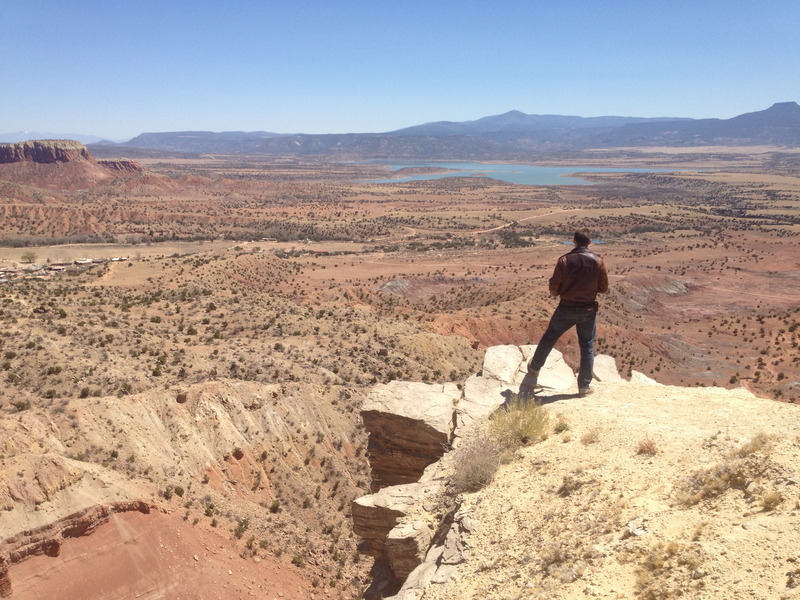 Special thanks to laura n. (who suggested Ghost Ranch) for making this blog post possible!